Flavius Odoacer (433 – 493), also known as Flavius Odovacer (Italian: Odoacre, Latin: Odoacerus; German: Odoaker), was a soldier who in 476 became the first King of Italy (476–493). His reign is commonly seen as marking the end of the Western Roman Empire. Though the real power in Italy was in his hands, he represented himself as the client of Julius Nepos and, after Nepos' death in 480, of the Emperor in Constantinople. Odoacer generally used the Roman honorific patrician, granted by the Emperor Zeno, but is referred to as a king (Latin rex) in many documents and he himself used it at least once and on another occasion it was used by the consul Basilius. 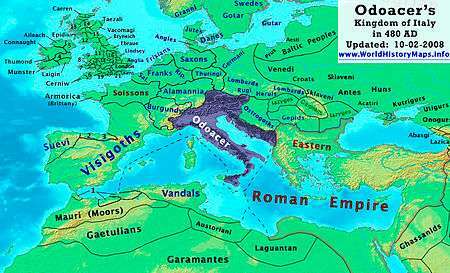 Odoacer introduced few important changes into the administrative system of Italy. 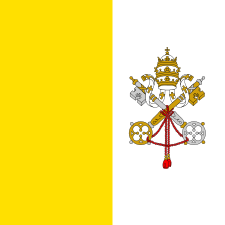 He had the support of the Roman Senate and was able to distribute land to his followers without much opposition. Unrest among his warriors led to violence in 477–478, but no such disturbances occurred during the later period of his reign. Although Odoacer was an Arian Christian, he rarely intervened in the affairs of the orthodox and trinitarian state church of the Roman Empire. 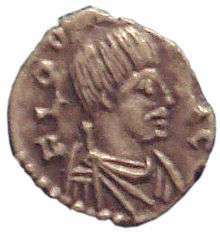 Probably of Scirian descent, Odoacer was a military leader in Italy who led the revolt of Herulian, Rugian, and Scirian soldiers that deposed Romulus Augustulus on 4 September AD 476. Augustulus had been declared Western Roman Emperor by his father, the rebellious general of the army in Italy, less than a year before, but had been unable to gain allegiance or recognition beyond central Italy. With the backing of the Roman Senate, Odoacer thenceforth ruled Italy autonomously, paying lip service to the authority of Julius Nepos, the last Western emperor, and Zeno, the emperor of the East. Upon Nepos' murder in 480 Odoacer invaded Dalmatia, to punish the murderers. He did so, executing the conspirators, but within two years also conquered the region and incorporated it into his domain. When Illus, master of soldiers of the Eastern Empire, asked for Odoacer’s help in 484 in his struggle to depose Zeno, Odoacer invaded Zeno’s westernmost provinces. The emperor responded first by inciting the Rugi of present-day Austria to attack Italy. During the winter of 487–488 Odoacer crossed the Danube and defeated the Rugi in their own territory. 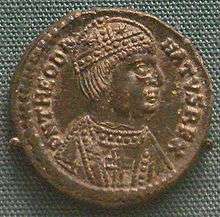 Zeno also appointed the Ostrogoth Theoderic the Great who was menacing the borders of the Eastern Empire, to be king of Italy, turning one troublesome, nominal vassal against another. Theoderic invaded Italy in 489 and by August 490 had captured almost the entire peninsula, forcing Odoacer to take refuge in Ravenna. The city surrendered on 5 March 493; Theoderic invited Odoacer to a banquet of reconciliation and there killed him. Odoacer is the earliest ruler of Italy for whom an autograph of any of his legal acts has survived to the current day. The larger portion of a record of Odoacer granting properties in Sicily and the island of Melita on the Adriatic coast to Pierius and issued in 488, was written in his reign. Except for the fact that he was not considered Roman, Odoacer's ethnic origins are not completely known. Both the Anonymus Valesianus and John of Antioch state his father's name was Edeko. 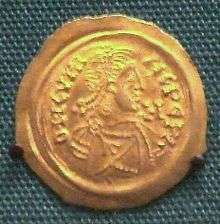 However, it is unclear whether this Edeko is identical to one—or both—men of the same name who lived at this time: one was an ambassador of Attila to the court in Constantinople, and escorted Priscus and other Imperial dignitaries back to Attila's camp; the other, according to Jordanes, is mentioned with Hunulfus as chieftains of the Scirii, who were soundly defeated by the Ostrogoths at the river Bolia in Pannonia sometime in the late 460s. Since Sebastian Tillemont in the 17th century, all three have been considered to be the same person. In his Getica, Jordanes describes Odoacer as king of the Turcilingi (Turc-ilingi or Torcilingorum rex). However, in his Romana, the same author defines him as a member of the Rugii (Odoacer genere Rogus). The Consularia Italica calls him king of the Heruli, while Theophanes appears to be guessing when he calls him a Goth. Marcellinus Comes calls him "the king of the Goths" (Odoacer rex Gothorum). Possibly the earliest recorded incident involving Odoacer is from a fragment of a chronicle preserved in the Decem Libri Historiarum of Gregory of Tours. Two chapters of his work recount, in a confused or confusing manner, a number of battles fought by King Childeric I of the Franks, Aegidius, Count Paul, and one "Adovacrius" or "Odovacrius". If this is an account of Aegidius' victory over the Visigoths, otherwise known from the Chronicle of Hydatius, then this occurred in 463. Reynolds and Lopez in their article mentioned above, suggested that this "Adovacrius" or "Odovacrius" may be the same person as the future king of Italy. This suggestion has been accepted by some scholars; it appears to explain why Lewis Thorpe named this person "Odoacer" in his translation of Gregory's work. The first certain act recorded for Odoacer was shortly before he arrived in Italy. Eugippius, in his Life of Saint Severinus, records how a group of barbarians on their way to Italy had stopped to pay their respect to the holy man. Odoacer, at the time "a young man, of tall figure, clad in poor clothes", learned from Severinus that he would one day become famous. When Odoacer took his leave, Severinus made one final comment which proved prophetic: "Go to Italy, go, now covered with mean hides; soon you will make rich gifts to many." When Orestes was in 475 appointed Magister militum and patrician by the Western Roman Emperor Julius Nepos, he became head of the Germanic foederati of Italy (the Scirian—Herulic foederati). However, Orestes proved to be ambitious, and before the end of that year Orestes had driven Nepos from Italy. Orestes then proclaimed his young son Romulus the new emperor as Romulus Augustus, called "Augustulus" (31 October). However, Nepos reorganized his court in Salona, Dalmatia and received homage and affirmation from the remaining fragments of the Western Empire beyond Italy and, most importantly, from Constantinople, which refused to accept Augustulus and branded him and his father traitors and usurpers. About this time the foederati, who had been quartered on the Italians all of these years, had grown weary of this arrangement. In the words of J. B. Bury, "They desired to have roof-trees and lands of their own, and they petitioned Orestes to reward them for their services, by granting them lands and settling them permanently in Italy". Orestes refused their petition, and they turned to Odoacer to lead their revolt against Orestes. Orestes was killed at Placentia and his brother Paulus outside Ravenna. The Germanic foederati, the Scirians and the Heruli, as well as a large segment of the Italic Roman army, then proclaimed Odoacer rex Italiae ("king of Italy"). In 476 Odoacer advanced to Ravenna and captured the city, compelling the young emperor Romulus to abdicate on September 4. According to the Anonymus Valesianus, Odoacer was moved by Romulus's youth and his beauty to not only spare his life but give him a pension of 6,000 solidii and sent him to Campania to live with his relatives. Following Romulus Augustus's deposition, according to the historian Malchus, upon hearing of the accession of Zeno to throne, the Senate in Rome sent an embassy to the Eastern Emperor and bestowed upon him the Western imperial insignia. The message was clear: the West no longer required a separate Emperor, for "one monarch sufficed [to rule] the world". In response, Zeno accepted their gifts observing "the Western Romans had received two men from the Eastern Empire and had driven out one and killed the other, Anthemius." The Eastern Emperor conferred upon Odoacer the title of Patrician and granted him legal authority to governing Italy in the name of Rome. Zeno also suggested that Odoacer should receive Nepos back as Emperor in the West "if he truly wished to act with justice." Although he accepted the title of Patrician, Odoacer did not invite Julius Nepos to return to Rome, and the latter remained in Dalmatia until his death. Odoacer was careful to observe form, however, and made a pretence of acting on Nepos' authority, even issuing coins with his image. Following Nepos's murder in 480, Zeno legally abolished the co-emperorship and ruled as sole Emperor. 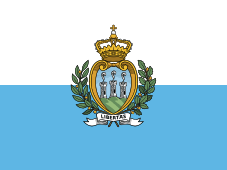 "Kingdom of Italy (476-493)" redirects here. For other uses, see Kingdom of Italy (disambiguation). The Kingdom of Italy (Odoacer) in 480 AD. In 476, Odoacer became the first barbarian King of Italy, initiating a new era. Unlike most of the last emperors, he acted decisively. According to Jordanes, at the beginning of his reign he "slew Count Bracila at Ravenna that he might inspire a fear of himself among the Romans." He took many military actions to strengthen his control over Italy and its neighboring areas. He achieved a solid diplomatic coup by inducing the Vandal king Gaiseric to cede to him Sicily. Noting that "Odovacar seized power in August of 476, Gaiseric died in January 477, and the sea usually became closed to navigation around the beginning of November", F.M. Clover dates this cession to September or October 476. When Julius Nepos was murdered by two of his retainers in his country house near Salona (May 480), Odoacer assumed the duty of pursuing and executing the assassins, and at the same time established his own rule in Dalmatia. As Bury points out, "It is highly important to observe that Odovacar established his political power with the co-operation of the Roman Senate, and this body seems to have given him their loyal support throughout his reign, so far as our meagre sources permit us to draw inferences." He regularly nominated members of the Senate to the Consulate and other prestigious offices: "Basilius, Decius, Venantius, and Manlius Boethius held the consulship and were either Prefects of Rome or Praetorian Prefects; Symmachus and Sividius were consuls and Prefects of Rome; another senator of old family, Cassiodorus, was appointed a minister of finance." A. H. M. Jones also notes that under Odoacer the Senate acquired "enhanced prestige and influence" in order to counter any desires for restoration of Imperial rule. As the most tangible example of this renewed prestige, for the first time since the mid-3rd century copper coins were issues with the legend S(enatus) C(onsulto). Jones describes these coins as "fine big copper pieces", which were "a great improvement on the miserable little nummi hitherto current", and not only were they copied by the Vandals in Africa, but they formed the basis of the currency reform by Anastasius in the Eastern Empire. In 487 Odoacer led his army to victory against the Rugians in Noricum, taking their king Feletheus into captivity; when word that Feletheus' son, Fredericus, had returned to his people, Odoacer sent his brother Onoulphus with an army back to Noricum against him. Onoulphus found it necessary to evacuate the remaining Romans and resettled them in Italy. The remaining Rugians fled and took refuge with the Ostrogoths; the abandoned province was settled by the Lombards by 493. As Odoacer's position improved, Zeno, the Eastern Emperor, increasingly saw him as a rival. According to John of Antioch, Odoacer exchanged messages with Illus, who had been in revolt against Zeno since 484. Thus Zeno sought to destroy Odoacer and promised Theoderic the Great and his Ostrogoths the Italian peninsula if they were to defeat and remove Odoacer. As both Herwig Wolfram and Peter Heather point out, Theoderic had his own reasons to agree to this offer: "Theoderic had enough experience to know (or at least suspect) that Zeno would not, in the long term, tolerate his independent power. When Theoderic rebelled in 485, we are told, he had in mind Zeno's treatment of Armatus. Armatus defected from Basilicus to Zeno in 476, and was made senior imperial general for life. Within a year, Zeno had had him assassinated." The events around the Battle of Ravenna were used in the Germanic heroic saga of Dietrich von Bern (Theoderic of Verona). The event in which Theoderic kills Odoacer with his own hands is mirrored in the saga in the episode in which Dietrich kills the Dwarf King Laurin. Odoacer is the first ruler of Italy for whom the original text of any of his legal acts has survived. This is a grant by Odoacer to Pierius of properties in Sicily near Syracuse and on the island of Melita in Dalmatia, worth in total 690 solidi. The grant itself was made 18 March 488, but this document, which is on papyrus, was written shortly afterwards. The opening section is missing and the text is in two parts, one now in the Biblioteca Nazionale in Naples and the other in the Austrian National Library in Vienna, but the bulk of the act itself and the subscriptions by witnesses and officials survive. Pierius, comes domesticorum, was given these properties as a reward for his achievements in the war against Theoderic. None of the parties involved in this transaction—not Pierius, Odoacer, nor the witnesses—could foresee that the recipient would die the following year in the battle of the Adda River. ↑ Marcellinus, Cassiodorus, and some Papal documents, which come the closest to implying official use of the title, all refer to him as rex (or one of its declensions). Jordanes at one point refers to him as Gothorum Romanorumque regnator: ruler of the Goths and the Romans. He is called an autokrator (autocrat) and a tyrannos (usurper, tyrant) in Procopius' Bellum Gothicum. The only reference to Odoacer as "King of Italy" is in Victor Vitensis: Odouacro Italiae regi. ↑ McGeorge, Penny (2002). Late Roman warlords. Oxford University Press. p. 284. ISBN 978-0-19-925244-2. 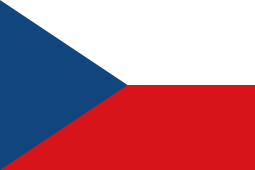 ↑ Encyclopedia of European Peoples – Carl Waldman, Catherine Mason – Google Břger. Books.google.dk. Retrieved 2012-06-12. ↑ Voyles, Joseph (1992). Early Germanic Grammar: pre-, proto-, and post-Germanic Languages. Academic Press. p. 141. ISBN 0-12-728270-X. ↑ "Communications", American Historical Review, 53 (1947), p. 836. Reynolds and Lopez in the same issue point out Maenchen-Helfen restated "so patently the position of the unflinching Germanizer, to whom it appears self-evident that every barbarian who distinguished himself must have been a German in his inner being, no matter how deeply influenced by Huns or Alans as to children's heads and weapon" (p. 841), then carefully respond to his other objections. ↑ Eugippius, Commemoratorium Severinus, chapter 6. Translated by Ludwig Bieler, Eugippius, The Life of Saint Severin (Washington: Catholic University, 1965), pp. 64f. Bieler explains in a footnote that "make rich gifts to many" refers to the custom of Germanic war leaders giving lavishly to their followers, because "generosity was one of the virtues which a king was supposed to have." ↑ History of the Wars, 5.1.6. 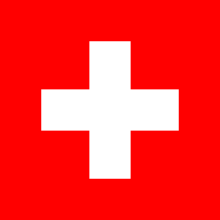 Text and translation in H.B. Dewing, Procopius (London: Heinemann, 1968), vol. 3 p. 5. ↑ Unless otherwise stated, this section is based on Jan-Olof Tjäder, Die Nichtliterarischen Lateinischen Papyri Italiens aus der Zeit (Lund: Gleerup, 1955), vol. 1 pp. 279–293. An English translation of this document is in Thomas Hodgkin, Italy and her Invaders (Oxford, 1880–1899), vol. 3 pp. 150–154. Wikimedia Commons has media related to Odoacer. "Odoacer". The American Cyclopædia. 1879.